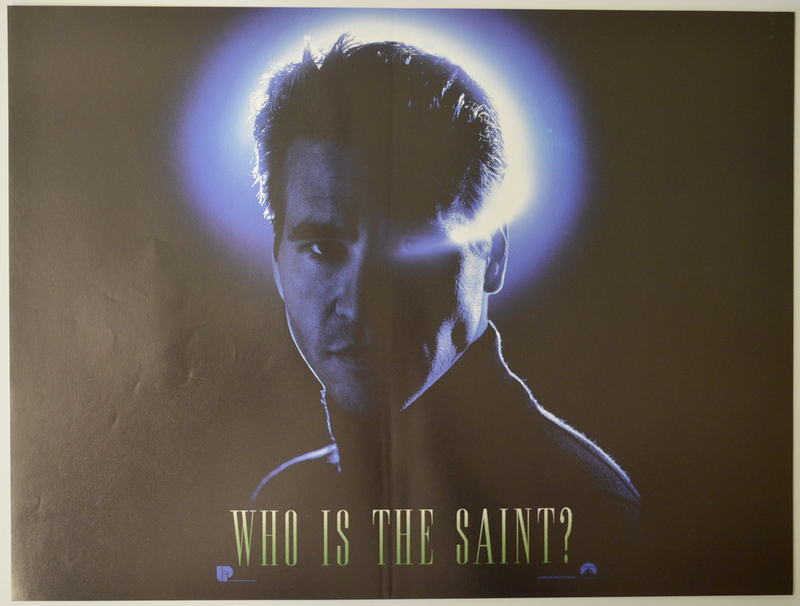 Val Kilmer, Elisabeth Shue, Rade Serbedzija, Valery Nikolaev, Henry Goodman, Alun Armstrong, Michael Byrne, Evgeny Lazarev, Irina Apeximova, Lev Prigunov, Charlotte Cornwell, Emily Mortimer, Lucija Serbedzija, Velibor Topic, Tommy Flanagan, Yegor Pozenko, Adam Smith, Pat Laffan, Verity Dearsley, Michael Marquez, Lorelei King, Alla A. Kazanskaya, Ronnie Letham, Tusse Silberg, Peter Guinness, Stefan Gryff, Malcolm Tierney, Stephen Tiller, Christopher Rozycki, Etela Pardo, Nikolai Veselov, David Schneider, Oxana Popkova, Agnieszka Liggett, Lidia Zovkic, Alexander Tutin, Vadim Stepashkin, Ravil Isyanov, Alexander Kadanyov, Petar Vidovic, Susan Porrett, Cliff Parisi, Richard Cubison, Tony Armatrading, Benjamin Whitrow, Julian Rhind-Tutt, Kate Isitt, Barbara Jefford, Sean O'Kane, Lucy Akhurst, Nigel Clauzel, Eric Loren, William Hope, Michael Cochrane, Ginny Holder, Akiko, Melissa Knatchbull, Caroline Lee Johnson, Roger Moore (voice). Vertical crease down through the center of the poster, some very light surface creasing on the left, otherwise good. Original Mini Quad Poster (12 x 16 inches) Never Displayed. Stored Flat since year of release.